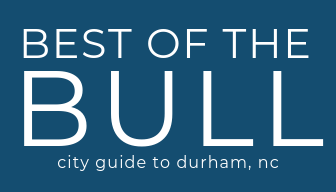 If you’d like to come together with the Durham community this weekend there is a lot to do including Durham Bulls opening nights, the 150th celebration at American Tobacco Campus, Pints for Paws, egg hunts, and a whole lot more! Join us at Motorco for another awesome Tinkering & Drinkering! Activities can include: circuits using conductive LEGOs, KEVA blocks, one-of-a-kind cooperative video game, needle felting (in case you’re feeling stabby), perler beads, leather working, or shrinky dinks. Join the good people of Fleet Feet at Ponysaurus for our two favorite things….Running and Beer! Every Thursday join a 3-mile route or 5-mile route. Expect a good time and treat yourself to a pint at the end of every run for a job well done! Arrive at Ponysaurus at 6:15pm to check-in. There’s nothing like Opening Night, and there’s nothing like baseball at the DBAP. Come out April 11 as the back-to-back league champion Durham Bulls open their 2019 home schedule. Plus, the evening’s game will be followed by a postgame fireworks show, and feature the brand new Afforda-BULL Eats all night long. WANT TO PLAY? NO PURCHASE NECESSARY. Open to legal residents of 50 United States and Canada (excluding Puerto Rico & Quebec), 18 years or older. Ticket purchase will not increase your chances of being selected to play. To register for chance to be a contestant, visit registration area at or near the venue box office 3 hours prior to show time. Come out to watch this documentary on the big screen! This film is our send-off to all of our amazing Pony Runners that will be running the Boston Marathon! Enjoy a pint on the patio & $1/scoop snacks while watching this flick. To help mark his 15th birthday during Durham’s year-long sesquicentennial celebration, the community’s beloved Major the Bull sculpture in CCB Plaza will be receiving new, bronze signage, in both English and Spanish, and the Bull City is invited to the celebration. Hosted by the City of Durham and Liberty Arts, the event will take place in front of the Bull sculpture at CCB Plaza, which is located at the corner of North Corcoran and West Parrish streets in downtown Durham, on Friday, April 12 at 11 a.m.
National Grilled Cheese Day – Round Two! Well, it went so well last year, we thought we would do it again! Friday, April 12th is National Grilled Cheese Day and Chef Brandon is whipping up some winners for y’all. And yes, our famous Tomato Bisque will be available for all of the dipping and dunking! Plus, beer specials and a few giveaways! Join us to celebrate North Carolina Beer Month and Durham’s 150th anniversary with special beers from seven Durham-based breweries, including Fullsteam! To celebrate Durham’s birthday — and the city’s diversity — the city’s seven breweries brewed a beer with a local Durham partner. Saddle up to the tasting bar with the Tiki Man Rob Mariani of Alley 26 Tonic. Rob will be making his first appearance at LouElla and we couldn’t be happier to have him in to show off the Local Alley 26 Tonic and a few of his other inspired creations! Celebrate this year’s NC Statewide Star Party by adventuring “To the Moon and Beyond”. Our knowledgeable staff will provide high powered binoculars and telescopes for high-quality viewing and will feature astronomers from the Chapel Hill Astronomical and Observational Society (CHAOS), NASA, and our very own Durham Parks & Rec! Dress for the weather. This program is free and does not require registration. Children must be accompanied by an adult. MPBF @ Durty Bull Brewing Co.
Join us at Durty Bull Brewing Company on April the 13th from 12-4. Come on out and meet some of our adoptabulls! And, have you ever considered being a part of something great? Well we will have MPBF volunteers and foster parents on site to help answer any questions you may have. DurhamCares is hosting the 2nd annual Bull City Madness 3 v 3 basketball tournament on Saturday, April 13th! Bull City Madness is more than just a basketball tournament – it’s a chance to celebrate a city that has changed basketball throughout the world. Come out to celebrate Durham’s rich history of basketball, bring the community together, and raise support for non-profits making an impact in Durham. It will be fun for players and spectators alike, with games, free food, and activities for kids! Shop local! Downtown Durham stores offer unique programming and specials on the 2nd Saturday of every month. Join us for a fun and relaxing day of paddling and wine tasting. We will meet at the winery and then head to Jordan Lake for a morning paddle. Take in the sights on the lake (maybe catch a sighting of a Bald Eagle or Great Blue Heron) then head to the Cloer Family Vineyards for a private tasting and tour. Not had enough? Bring a picnic lunch and hang around for an afternoon of music. Egg hunters wanted! Egg Hunt begins promptly at 10:15 a.m.! Children will be divided into groups according to age: 0-2, 3-4, 5-6, 7-9. 10-12. Find the golden egg to win an extra prize! Mr. Bunny will be available for pictures. Participants will receive a self-adhesive tattoo. Remember to bring your own basket! Egg hunters wanted at our 32nd Annual Egg Hunt at West Point on the Eno. Children will be divided into groups according to their age for the egg hunt: 0-2, 3-4, 5-6, 7-9, 10-12. Find the golden egg and win an extra prize! All age groups will start at 10:15am; games, crafts and face painting to follow until noon. Remember to bring your own basket! Mr. Bunny will be available for pictures. TDelve into drone flight with this new tinkering series! Drones 101 is an introductory session, so no flying experience is required. During the workshop, you’ll explore mini drones and learn how to maneuver them. We’ll work together to develop flight skills and complete a small obstacle course. Practice navigating indoors with your co-pilot and build the foundation for your journey as a pilot! Enjoy music, great weather, food trucks, and kite flying fun! Durham Parks and Recreation staff will be on hand to provide kite flying tips, and assist with mending kites that need a little help. All Ages! This event is free and open to the public. No preregistration required. We can’t celebrate Durham’s birthday without you! The Durham 150 Opening Celebration Presented by Aetna is where Durham’s dynamic community and 150 years’ worth of the city’s treasured history meet. You’re going to want to be there. The Opening Celebration starts promptly at 10 a.m., and festivities continue until 2 p.m. on Saturday, April 13. Themed neighborhoods in the American Tobacco Campus (ATC) will highlight the four pillars of Durham 150: History & Education, Innovation & Entrepreneurship, Social Equity & Robust Democracy, and Arts & Leisure. Each neighborhood will feature local experts, artists and community leaders hosting exhibits, crafts, and demonstrations. The Feed Durham Festival is a completely free community festival sponsored by STORYCHURCH. There will be egg hunts, free hotdogs, inflatables, face painting, and more! We’re throwing ourselves a party and you’re invited! Come on by The Wine Feed in Durham for a fun day full of wine, food trucks, vendors and games to celebrate 1 year down in Durham. Come out to the brewery on Saturday, April 13th to find out how you can get involved with the Merit Pit Bull Foundation mission of improving the lives of bully breeds in NC. Drop by the Duke Arts Annex as artist Dare Coulter finishes a new mural on the grounds! Coulter, a Triangle-based artist, sculptor, and muralist combines distinct aspects of color, culture, and creativity to re-imagine communities of color in joyous and powerful spaces. Pick up a brush and help Duke students mural the pathway to the Arts Annex, and check out a dance workshop by one of Duke’s talented dance groups. Stop by for some snacks and picnic under one of the colorful satellite dish murals in Satellite Park—and be sure to pick up a Mural Durham pocket guide to explore public art in and around downtown Durham! Everyone welcome; no registration required! Explore mini drones and learn how to maneuver them! Drones 201 is designed for participants with some flying experience. We’ll work together to elevate our flight skills as we tackle a complex set of challenges and an obstacle course. Practice navigating indoors with your co-pilot and test your new skills on some of our larger drones! Optional prerequisite: Drones 101 Participants are encouraged, but not required, to complete Drones 101 before taking Drones 201. Don’t let your canine companion miss out on this spring tradition! Bring your dog to West Point on the Eno, where they will experience an egg hunt: Canine style! Find the golden egg to win a special prize. Mr. Bunny will be available for pictures. Dogs must remain on leash. Free, drop-in event. Save the date for April 13th for our SummerStage Block Party! Help Golden Belt celebrate Durham’s 150th birthday and National Record Store Day with a few of our friends from Jamla, Cardigan, Raund Haus, Merge, NCCU and Small Town Records. Join us from 3-9pm for a hiring fair, local food trucks, music, art and brew from Hi-Wire. Delve into drone flight with this new tinkering series! Explore drones and learn how to maneuver them! Drones 301 is designed for participants with flying experience. We’ll take our drones outside and learn how to tackle obstacles like wind, buildings, or trees. Together with your co-pilot, experiment with drone videography and observe our full-scale video drone! Required prerequisite – Drones 101 or 201 Participants must have completed Drones 101 and/or Drones 201 before taking Drones 301. Glass blowing demonstrations by Durham-based designer Elijah Leed. Watch as he makes beautiful hand-blown glass art while you sip wine and feast on an array of small plate appetizers cooked in the same furnace. The evening will kickoff with a leisurely tour of the Liberty Arts studio where you can interact with some of our very talented artists and browse the art they create, while grooving to Dex and the Half Tones, a Durham based 6-piece Jazz band featuring bebop, swing, latin and blues tunes. As the City of Durham celebrates its 150th anniversary this year, we’re throwing it back to 1902. In an ode to Durham’s first professional baseball team, we’ll become the Durham Tobacconists on April 13, complete with special uniforms, in-game Durham trivia and more. Celebrate Durham’s 150th birthday at a super-fancy-dress-up dance party complete with jazzy music, retro costumes, and a Durham 150th Tap Takeover! No cover, no entry fee — just put on your Durham-est, retro-est, fanciest garb and come dance the night away in honor of our amazing city. The House of Coxx is expanding, y’all! Two shows in one night is our new model for giving you everything you need. One at 8:30 PM and the other at 11 PM SHARP (Dance party to follow)!!!! Each show is $10. The first show, The Early Bird Special, is ALL AGES and is full of old school hits, nostalgic tunes, and little ditties that Make America Gay Again. Yes, this show is family friendly and features Jayden James Starr and G-Clef. The Museum of Life and Science is a great interactive science park on 84 acres. It includes a two-story science center, a large butterfly conservatory, and 60 species of live animals in its outdoor exhibits. There are many unique spaces to learn from and to enjoy both indoors and outdoors. With hands on exhibits and some great learning and playing spaces, this museum offers a wide variety of experiences for the whole family. Durham Community Days is one of the ways we provide access for all families in our community. Admission is waived for Durham County residents with ID. Celebrate the Durham craft beverage community while raising funds for Animal Protection Society of Durham at Pints for Paws Beverage Festival Sunday, April 14, from 12-4 PM at Durham Central Park. This will be the second year of this fun festival, with local craft breweries and other local craft beverage makers coming together in one event to raise funds for homeless animals. This family- and dog-friendly festival will be held at Durham Central Park, 501 Foster Street, in downtown Durham. There will be food trucks, a band, doggie wading pools, games, and a whole lot more. Adoptable dogs from APS of Durham will also be there for you to meet! Brunches Brew is our weekly jazz jam brunch hosted by Alan Thompson (Zoocru, sax). Each Sunday grab a seat on the lawn and enjoy good vibes, food trucks and a cold brew from Hi-Wire. This event is free. Please let us know you are coming by RSVP. It’s never too late to travel to wine country! Learn how in our Authentic Travel to Wine Country course, offered March 16th or April 14th in Chapel Hill! If you have always wanted to travel to wine country but felt the trip was too expensive (it doesn’t have to be!) or intimidating (it’s not! ), this course is for you! Jolene of KnowWines has been traveling to wine country (domestic and internationally) for almost 20 years. In this course, she will walk you through planning, packing, and tasting room tips as well as give you advice on how to create an authentic and enjoyable wine country experience. Pop Up Palooza – The Ultimate Shopping experience features 20 Exclusive Clothing, Handbag, and Accessory boutiques from RDU and beyond. Admission is free but we encourage all attendees to RSVP for a chance to win door prizes and giveaways.